Research conducted by London-based Global Web Index, a collaboration between online market research agency Lightspeed Research and Trendstream, suggests that streaming might in fact be the right antidote against content piracy. The findings are in line with other research and conclusions reached earlier this year by The Leading Question, MusicAlly’s consumer research division, which suggested that the number of teenagers who download copyrighted content from illegal sources has fallen dramatically over the past few years in favor of streaming. According to the Global Web Index, streaming video online has unequivocally turned mainstream with almost two thirds (64%) of Internet users watching video clips, almost a third (31%) watching full length TV and video programming and 13% sharing videos. 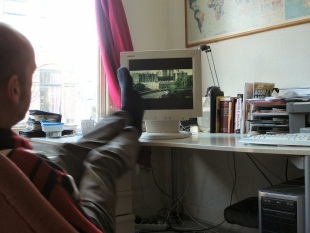 27% of UK Internet users have downloaded free TV shows/films to their desktops. The research showed that the most active internet users – those who spend more than three hours a day online – are the most likely to download illegal content, either through a P2P network or unauthorized file sharing websites. 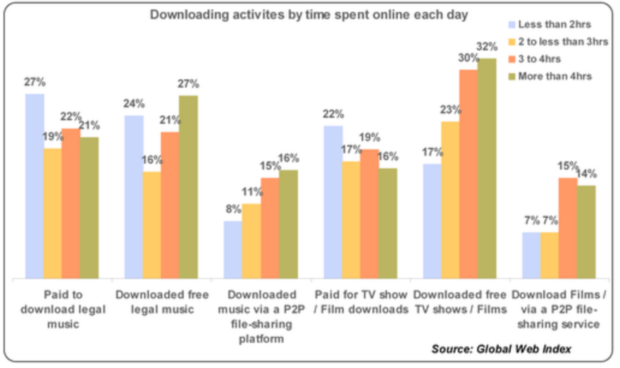 Contrary to popular belief, the research also shows that people who download illegal media content are not only driven by the desire to access it for free, but increasingly by the fact that they want to get their hands on the content as soon as it’s available, even if only legally in other countries. Whilst the research shows that consumers don’t really like using P2P networks to obtain content, people tend to use them when they can’t find what they want any other way. To reach its conclusions, Global Web Index interviewed 16,000 web users in 16 markets for a first wave. The survey was carried out online between July 6 and the August 7 of this year: 2000 internet users were interviewed in the US and the UK, 1000 users in France, Germany, Italy, Spain, China and Canada and 750 users took part in the survey in The Netherlands, Russia, Mexico, Brazil, India, South Korea , Australia, Japan. GWI plans a second wave this and next month.